We are manufacturer and exporter of wooden handicrafts from India. We also make wooden plate stands in different colors and sizes as per buyers specifications and requirements. I assure you for the international quality product with perfect finish and smoothness. 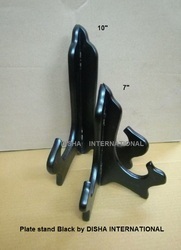 These stands are made in various sizes like 4", 7", 10" or any other as per buyers requirements at a very competitive price. 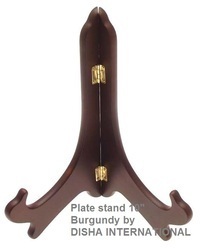 These plate stands are made in different colors and sizes with perfect finish and smoothnes. There are different sizes available. We can customize any size as per buyers specifications and requirements. We gaurantee you the perfect finish and smooth texture of the product. Wooden plate stands are made in different sizes and color as per buyers specifications and requirements. Normally we make them in 4"/ 7" 10" size.